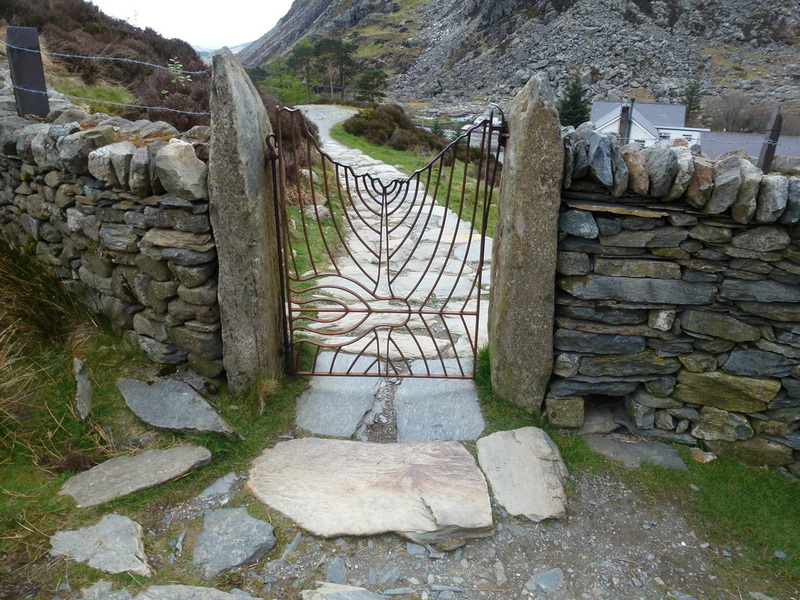 Mountain paths that need to be taken with care in some places. There is some scrambling up Milestone Buttress and near the summit of Tryfan but nothing too onerous providing you take your time. 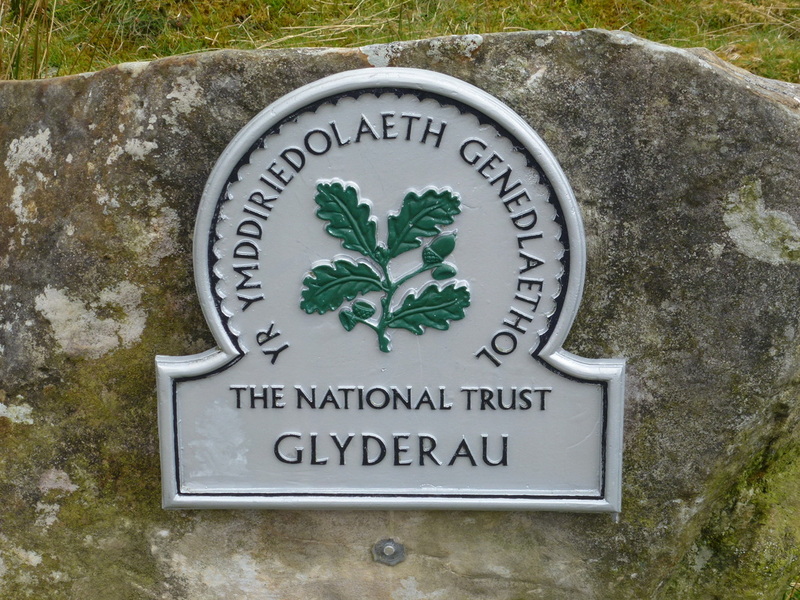 The descent to Llyn Bochlwyd is steep in places. The final part of the walk is along the A5 but there is a pavement. 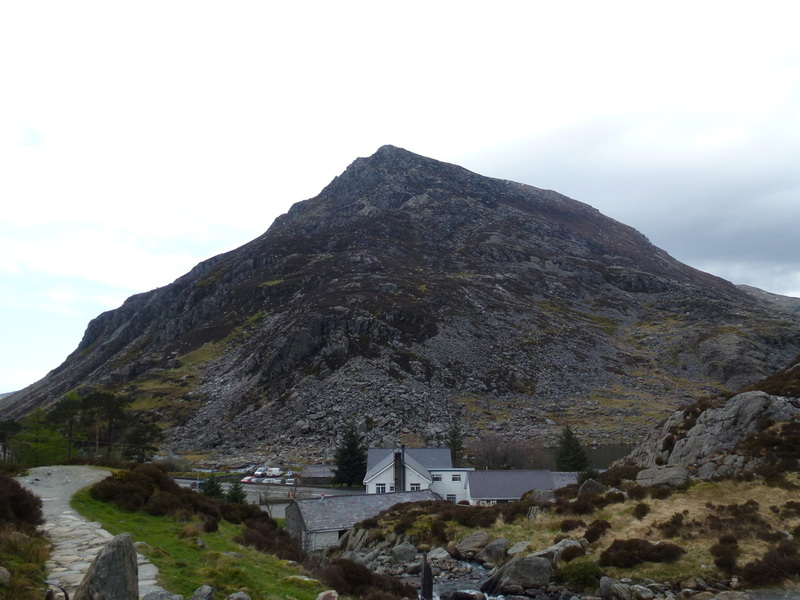 ​Tryfan at 3010ft is a truly fantastic mountain. It has everything for us - scenery, scrambling, a superb ridge and a lovely summit. Between us we have been up it a few times and the ascent via Heather Terrace is a challenging one with a fair amount of scrambling, particularly at the start and prior to gaining the summit. It is a mountain not to be taken lightly and is best climbed on a cloud free day with good visibility. The walk started from the Car Park below Milestone Buttress. 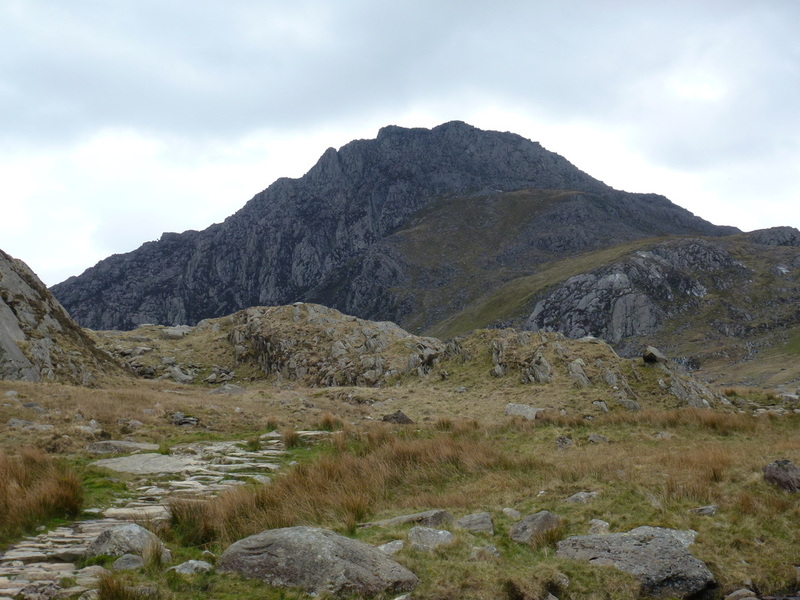 This is a popular start for the ascent of Tryfan but today it was fairly quiet on the mountain thankfully. The altitude at the start is already 1000ft therefore it only leaves another 2010ft to go!! The initial climb was on a steep path up the Buttress before meeting the path going off up the North Ridge, which in itself is a challenging scramble - one for another day. We carried on the Heather Terrace path soon turning right, scrambling in places before we reached the many boulders which bar the route to the summit. The boulders need taking care getting over - we just took our time and negotiated the safest and easiest way to the summit ridge - from then it was a simple case of following the ridge to reach the summit. 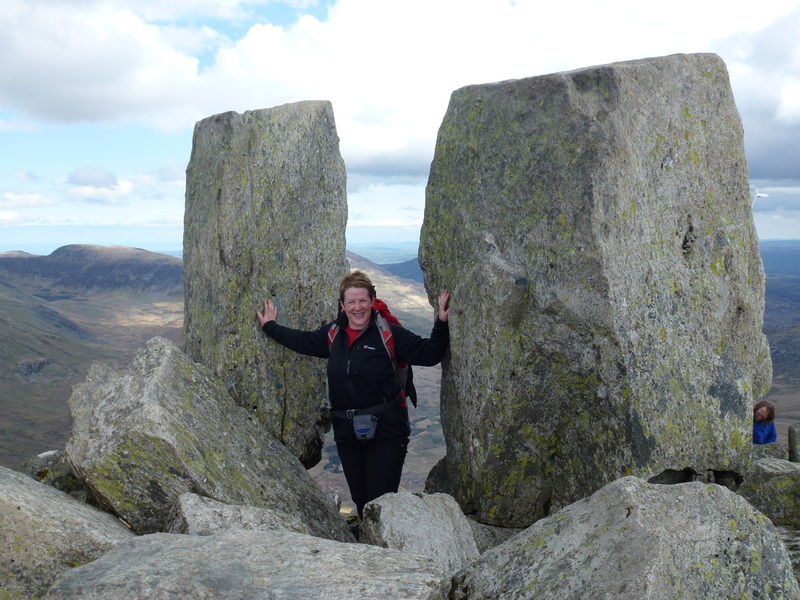 At the summit of Tryfan are the two monoliths of Adam & Eve, a pair of rocks some 3 metres high and separated by 1.2 metres. 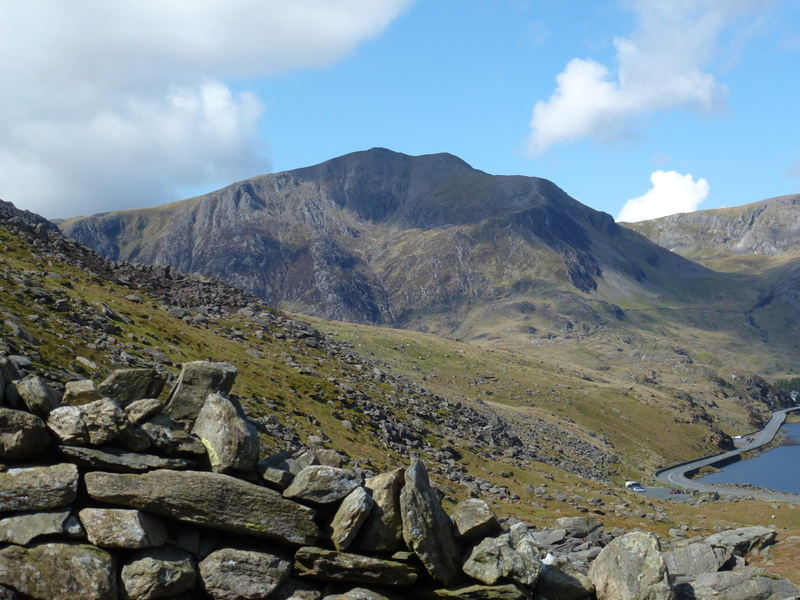 The rocks are visible from the Ogwen valley, from where they resemble two human figures. 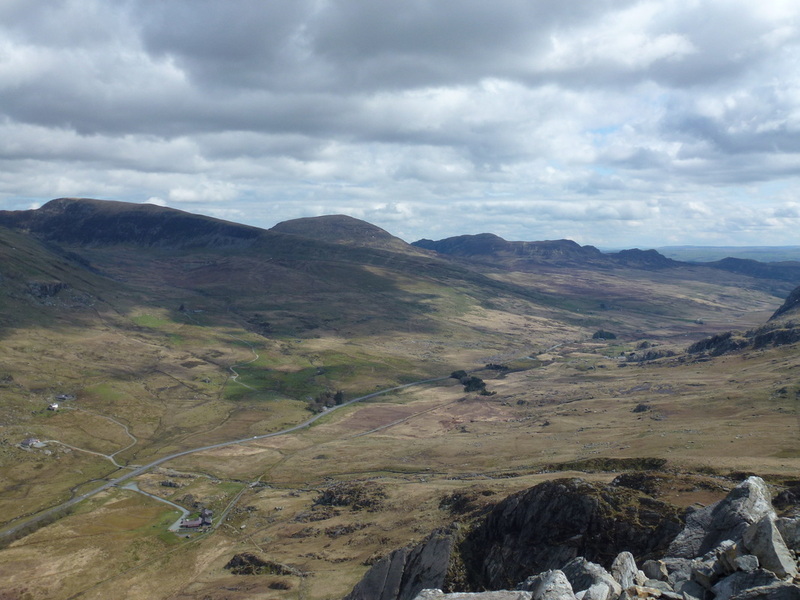 It is customary to scale Eve using the foothold and then jump over to Adam thus earning "the freedom of Tryfan" - not for us as the wind was starting to blow. 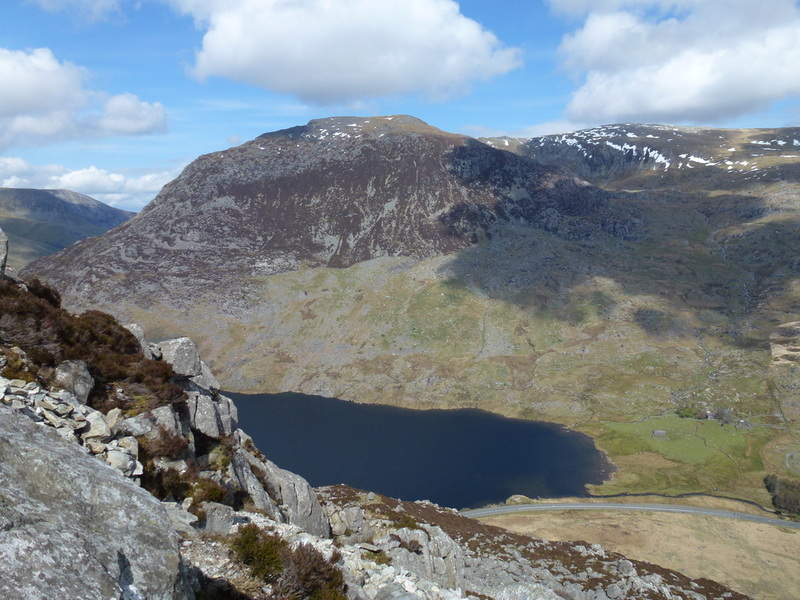 Leaving the summit, we retraced our steps to near the Far South Peak and then made our descent steeply off the mountain to reach the idyllic Llyn Bochlwyd, the shape of which bears a remarkable resemblance to a map of Australia. 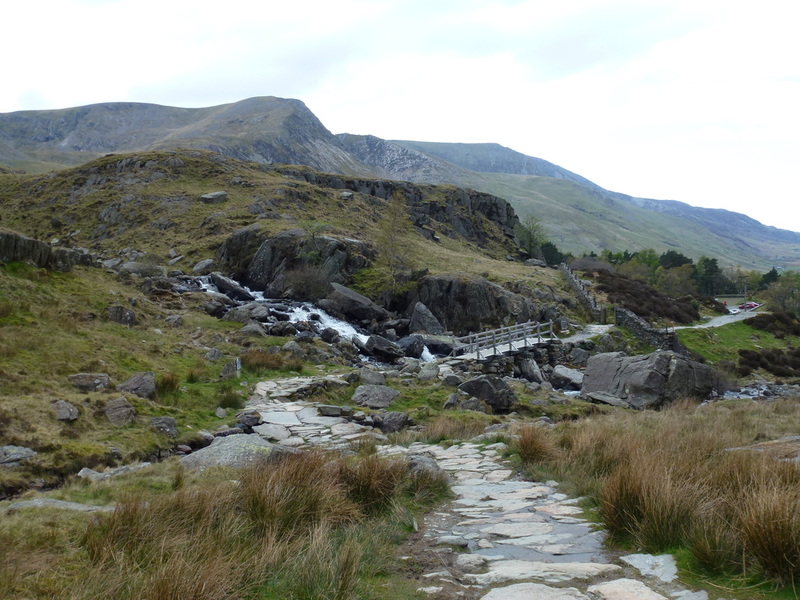 From the Llyn, the steepness relented and it was now a simple matter of following the good path down to reach the A5 at Idwal before walking back along the road to the parking place at Milestone Buttress. A great day out on a superb mountain. 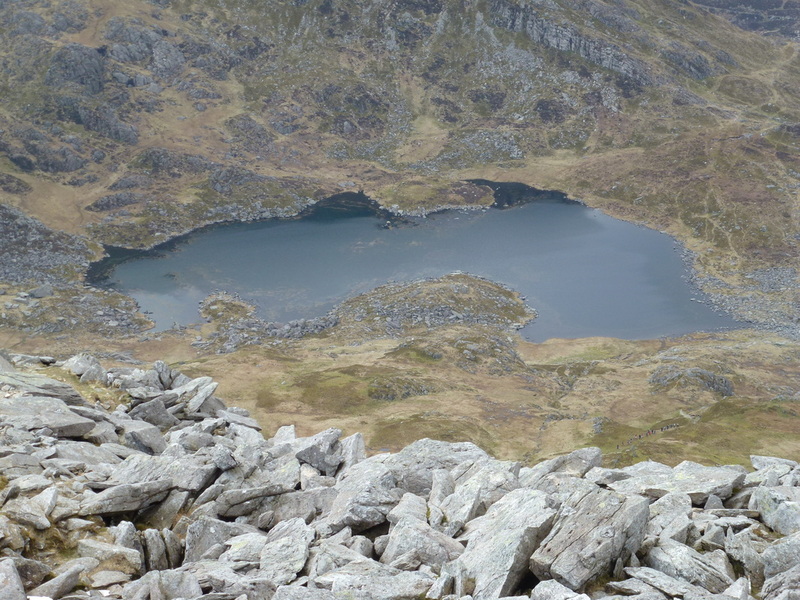 Heading up Milestone Buttress with Llyn Ogwen below. 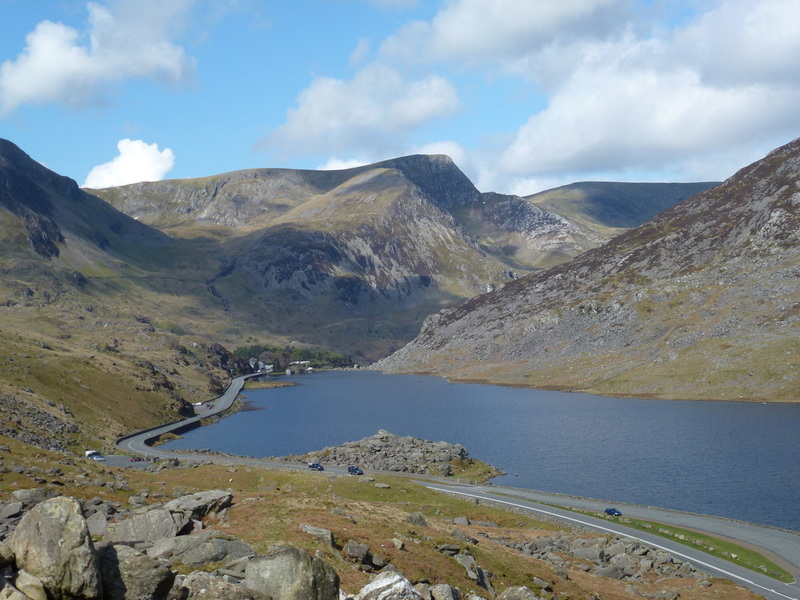 Idwal Cottage is at the head of the Llyn.